Most veterinarians recommend feline leukemia shots to prevent the spread of this highly contagious retrovirus, but some pet owners are unaware of the risks associated with the vaccine. In many cases, the vaccine benefits far outweigh potential side effects, but it's important to be informed before you make this decision for your pet. It used to be that veterinarians recommended feline leukemia vaccinations for all cats. After a kitten has undergone its kitten shots, the feline leukemia vaccine was optimally recommended as an annual shot. However, more knowledge and research has been done on the FeLV vaccine since its inception. It turns out that the FeLV shot involves some risk for developing cancer. The FeLV vaccine is currently thought to be between 75 to 85 percent effective at warding off the effects of the feline leukemia virus. However, it carries a risk of causing a certain cancer called "sarcoma" in cats. Sarcomas are cancerous tumors that require invasive efforts to remove. In fact, many times these tumors cannot be removed and prove fatal to the cat. It is not yet known why these sarcoma tumors develop, but veterinarians are finding that the inflammation at the injection point appears to be directly related to the growth of the tumors. Some veterinarians have suggested the use of aluminum in vaccines may be a cause, but researchers have found cats who developed sarcoma without aluminum as one of the vaccine ingredients. The FeLV vaccine is not the only vaccine implicated in vaccine-related sarcomas, but along with rabies it is a vaccine that causes concern for veterinarians. 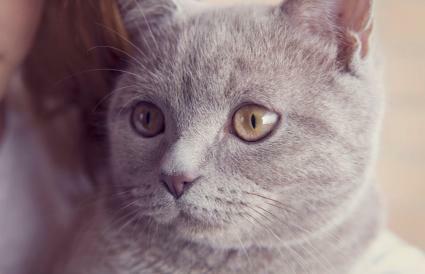 Due to the possibility of cancer developing, a joint task force of veterinary associations developed guidelines which called for veterinarians to consider multiple factors when suggesting the FeLV vaccine to cat owners including local risk, the cat's medical history and lifestyle, and using nasal and topical vaccines over injections. The guidelines still recommend the FeLV vaccine for all kittens, but once a cat is a year or older, it may be unnecessary unless the cat lives in high-risk conditions. In most cases these symptoms will pass on their own in a short time frame. Unfortunately, there is no real way to know ahead of time whether a normally healthy cat will be one of the few who suffers a negative reaction. Due to the risk of vaccine-related sarcomas and other possible side effects, the FeLV vaccine is now being recommended by veterinary experts for only "at-risk" adult cats or kittens. If your cat's lifestyle does not pose a reasonable risk for contracting the feline leukemia virus, your vet should not administer the vaccine to your cat. Most veterinarians and animal welfare groups recommend keeping cats indoors. Indoor-only cats have a greatly reduced chance to acquire the numerous communicable diseases that inhabit the feline world. Feline leukemia is spread between cats and is easily contracted in the outdoor environment, making indoor-outdoor cats at higher risk of catching the disease. It is estimated that between 2 and 8 percent of cats in any given area that go outside are FeLV-positive. Cats that live indoors only and are never exposed to other felines do not need to be vaccinated against FeLV. However, if you adopt a cat from a shelter or bring in a stray, you should strongly consider vaccinating your current cat for FeLV. Unless any future pet cats have been issued a clean bill of health, they are a potential threat to your current cat. Animals that lead a high-risk lifestyle should be vaccinated, but pet owners should always inquire about specific side effects of a vaccine. There is always some amount of risk with using a medication or vaccine on any animal. 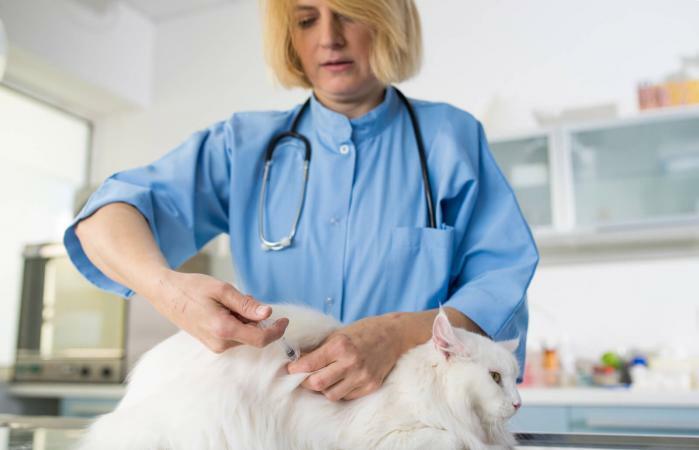 The cost to consider is the risk of your cat contracting a deadly disease if they are not vaccinated, and how high their chances of contracting that disease are. Likewise, consider the possibility of an indoor-only cat escaping outside. Even a short time outside can lead to transmission of the disease if your cat is unlucky enough to run into FeLV-positive outdoor cats. Your veterinarian is your best guide in deciding whether to vaccinate your cat for FeLV. He or she will be aware of local disease risks and can examine your cat, as well as potential new cats, to help provide you with the best information. They can also get a detailed history on your cat and his lifestyle, including whether he stays indoors or not, and give you an educated opinion on your options. It is important for pet owners to weigh the costs and consider the risks to determine if administering the FeLV vaccination is the safest and wisest course of action for their pet. Talk to your veterinarian and provide accurate information about your cat's lifestyle and home environment to learn the level of your cat's risk and whether vaccinating is the best course of action.